The first half of March has been a pleasant reprieve from any winter weather, but don't put the snow shovels away just yet. In the last two weeks, some form of severe weather has been reported nearly every day. Twenty-nine tornadoes have already been reported this March. Now, this warm, unsettled pattern is about to shift to a cooler — and possibly snowier — pattern as severe thunderstorms take a break. Snow showers will be limited, but some spots in the Upper Midwest could see upwards of a foot of snow on Wednesday. The snow moves to the Northeast by the end of the week. On the other side of the country, a round of snow is expected in Denver Thursday night into Friday — the first accumulating snow since the beginning of February. While the snow will be limited, the colder air will be more widespread. By the end of the weekend, most of the country will be experiencing cooler than average temperatures. 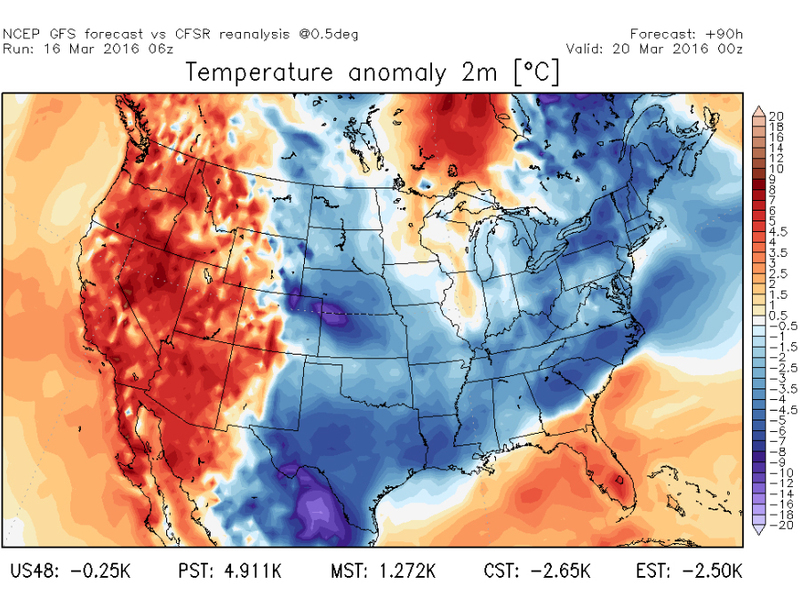 If you're looking for warmer weather, you'll have to travel to Florida or east of the Rockies where it's expected to be unusually warm for the first day of spring. During this season of transition, you'll likely need the Storm Shield App for severe thunderstorm and tornado warnings and the SnowCast App for any incoming snowflakes.